UPDATE: Due to merge of File2Cart and Cart2Cart, you now can migrate data from CSV files to more than 70 supported shopping cart too! Currently, there are many ways to code information for storage, but throughout dozen of years three main file formats stay the leaders in the niche. CSV, XML and TXT are widely used, each having its reassignment and pros vs cons. However, the format that has become a standard in IT industry is CSV with its unique genericity and range of possibilities. Let’s get a wind of the popularity secret to understand the importance of migration to it. Comma-separated value (CSV) files are usually used to exchange the information between disparate applications. Actually, code looks like a plain text, and that’s why its detecting is really simple and making no issues. Rows and columns stored in the text file are the main set of elements included in the records of such format. Thus, what are the peculiarities of CSV that has become a legacy format? This common file format is widely used by many shopping carts and can be benefited when there is a need to move data between programs that are incompatible. What is a kind of weird, this so-called “standard format” has no standard demands and clear definition of the look. And to be honest, it appears to be not the prettiest or the best method by any means. However, as it is supported by the largest software development companies of our planet, any e-Commerce business should look for a universal mechanism to produce the data. As a matter of fact, CSV has always been the only human readable format with the possibility to edit manually taking no efforts. Moreover, Its information schema is easy-to-understand (rows are separated by semicolon and columns are separated by commas). You are able to perform a quick implementing and parsing of any data appears to be possible thanks to the small size of files. CSV is processed by almost all existing applications that can be a good reason to concern its usage. And once you support CSV, there is always a chance to add another technically perfect alternative to your store’s capabilities. Also, CSV is supported by almost all spreadsheet software like Excel, Google Docs, OpenOffice.org, Notepad, Apple Numbers, etc. Lots of database management systems allow to read and write CSV files. All programming languages are also ready-steady to perform these actions in order to meet your requirements. 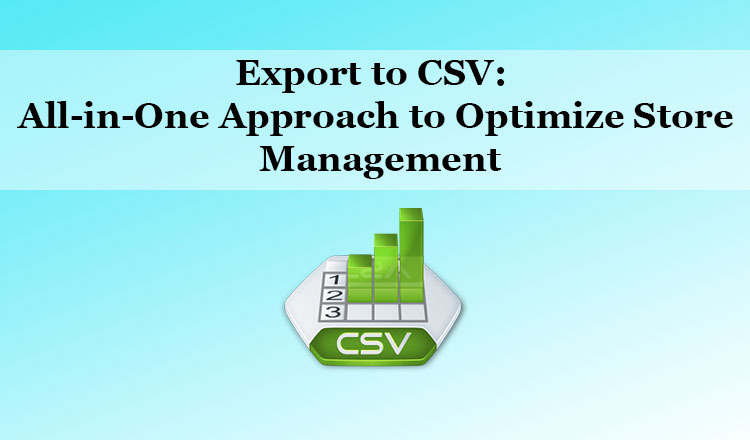 Exporting your data to CSV is one of the possibilities provided by Cart2Cart. You are able to retrieve customers, order history, categories and products to this convenient format from any of 60 supported e-Commerce solutions. Advantage: Quick and accurate migration to CSV will be a step forward to easy optimization of data processing, storage and administration on your store. Perform Magento CSV export, PrestaShop CSV export or any other one to enjoy the benefits. Cost: The price of export to CSV depends on the quantity of data you wish to transfer. Check the approximate cost with an online tool - Migration Estimator. Procedure: The process itself is automated and absolutely easy. If you have any hesitations about the service functionality, try free Demo Migration that takes only 10-30 minutes. Migrate to CSV with Cart2Cart to get all needed opportunities for the most convenient way to enhance your stores features.